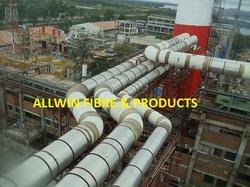 We are an established supplier and manufacturer of extensive collections of PP and FRP Products. Our collection includes FRP Cooling Tower, Fiber glass Tanks, HDPE Tanks, PP FRP Vessels, FRP Blowers, Fiberglass Gratings, Fiber Tank, PP FRP Scrubbers and FRP Vessels. Excellent quality raw components are obtained which include epoxies, polyesters and thermoplastics such as CPVC, ECTFE, TFM, PP, PVDF, PTFE, PVC and FEP. These are utilized in the manufacturing process as per with international standards and norms such as AST M-D-2996, BS 4994-1987 and ASME. These are highly appreciated by all our customers because of its excellent features like easy installation, latest technologies used, excellent quality and durability. We welcome queries for FRP Products from South India region including Andhra Pradesh, Karnataka, Kerala and Tamil Nadu & cities like Bangalore, Chennai and Hyderabad. We take pride in manufacturing miscellaneous collections of high quality pipe fittings like Manholes, Tees, Puddle Flanges and Bends and the same. 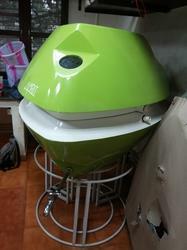 These are widely in demand among all our customers because of its durability and anti-corrosiveness. The bends that we manufacture and deliver to our clients can be customized in various angles like 90, 30, 60 or 45 degree. These are manufacturer by following Industrial quality standards and norms. 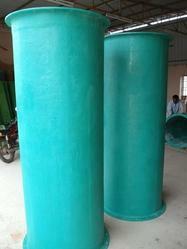 We offer FRP pipes with maximum size of 150mm Dia of 3/6/12 Mtrs long. We offer an exclusive range of premium quality FRP Board for offshore applications and corrosive chemicals. 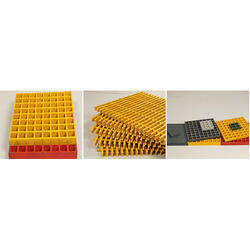 We have carved a niche as one of the overriding Molded Fiberglass Grating Manufacturers, based in India. Available in varied colors grating, our Fibre Reinforced Plastic Grating can be customized as per the demand of the client. They are widely used in several sectors like power plants, chemical plants, refineries, electroplating platform, swimming pools, trench cover, battery racks, marine industries etc. 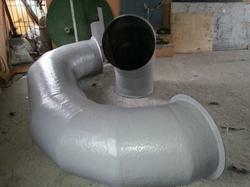 We are enlisted amongst the leading manufacturers and suppliers of wide range of FRP Ducts that are appreciated amongst the clients for high strength and durable finishing standards. We deliver the entire product range in well-defined time and are able to suit the budgetary limits of our clients. In order to maintain distinguish position in the industry, we offer technically updated array of FRP Pipe Bends that are manufactured using world-class raw components and modern technologies. They require minimum maintenance and are used in varied industrial sectors. In order to maintain distinguish position in the industry, we offer technically updated array of FRP Ducting Bend that are manufactured using world-class raw components and modern technologies. They require minimum maintenance and are used in varied industrial sectors. 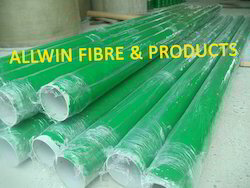 Owing to years of experience in the industry, we offer our clients an extensive range of FRP Pipes that are appreciated among the clients for its dimensional stability and sturdiness. We offer the entire product range in different technical specifications and have exceptional strength. Our entire product range is delivered in different grades and is able to cater diverse requirements across the nation. 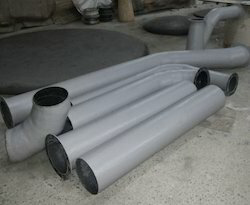 We are enlisted amongst the leading manufacturers and suppliers of wide range of PP FRP Ducts that are appreciated amongst the clients for high strength and durable finishing standards. We deliver the entire product range in well-defined time and are able to suit the budgetary limits of our clients. By keeping track with the market development, we are engaged in manufacturing and supplying an optimum quality FRP Component. Component offered by us is widely demanded by our valuable clients for its durability and precise design. This component can also be availed in several designs, sizes and other related specifications. Our provided component is manufactured by a team of our skilled professionals using high grade raw material and sophisticated technology. 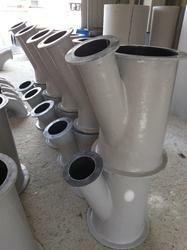 We are offering PVC FRP Ducts to our clients.